But only one of the concepts will win NASA funding and fly into space. NASA will select at least two of the proposals for federal grants in August, with final approval a year later for a single mission to proceed toward launch. The mission will join a family of space probes within NASA’s Discovery program, a set of highly-focused, cost-capped projects that have been dispatched to destinations throughout the inner solar system — places inside the orbit of Jupiter. Many of the proposed concepts will double as science probes and technological trailblazers, demonstrating lightning-fast communications systems, more powerful ion drive engines, ultra-precise atomic clocks and a new 3D-woven heat shield design. Some scientists in charge of the would-be space missions are talking about their concepts, giving presentations to scientific advisory boards and presenting at conferences. Others are withholding details or keeping their proposals entirely under wraps. The proposals were due in February and could target any object in the solar system besides Earth and the sun. A glance at the missions disclosed so far reveals a diverse list of destinations and objectives — from remote-sensing telescopes to probes that will taste and sniff the moons of Jupiter and Saturn. NASA changed the rules of the competition for the next Discovery-class mission. For the first time, the project’s $450 million cost cap will not include post-launch operations expenses. The cost limit also excludes expenditures for launch services and international contributions, which are paid from a separate NASA account. The space agency barred the use of a nuclear power source for the mission, limiting options for spacecraft needing to travel far from the sun. NASA is conserving its supply of plutonium for a future Mars rover mission until the U.S. government can restart production of the material. Alfred McEwen, a planetary geologist at the University of Arizona, said the adjustment in NASA’s cost allocations for the next Discovery mission could shift up to $100 million from under the cost cap to outside of it. The savings are especially notable for missions that will take several years to travel to the outer planets, cruise time that would usually eat up funding without producing meaningful science results. NASA will still have to spend the money, but it no longer counts against a mission proposal. The new costing guidelines change the decision calculus of researchers who want to propose. For the first time, probes targeting the outer solar system can fit into the $450 million cost cap, McEwen said in an interview at the Lunar and Planetary Science Conference in Houston. McEwen took advantage of the new rules, submitting a proposal for an ambitious mission to Jupiter’s volcanic moon Io. 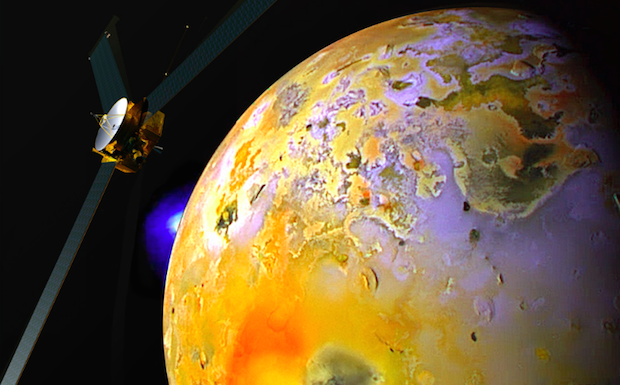 The Io Volcano Observer mission would launch in May 2021, swing into orbit around Jupiter in February 2026 and conduct at least nine flybys of Io, employing a high-speed optical communications antenna to beam data back to Earth. One of the flybys would zip just above the Pele vent, one of the most active volcanoes in the solar system. Fresh eruptions regularly reconstitute Io’s scarred surface, and the hyperactive world may resemble how Earth appeared just after it formed 4.5 billion years ago. Io’s volcanoes are driven by the tidal tug of Jupiter’s immense gravity, which heats up churning molten rock to a boiling point. The tidal forces trigger widespread eruptions — NASA’s Galileo mission saw more than 100 active volcanoes — and open a window into a planet’s internal workings. McEwen said his mission’s suite of cameras, heat detectors and spectrometers would collect 900 times more data on Io than the Galileo orbiter obtained during its eight-year tour around Jupiter, which ended in 2003. The Johns Hopkins University Applied Physics Laboratory, which developed NASA’s New Horizons and Messenger spacecraft to Pluto and Mercury, would lead construction and operations of the Io probe, McEwen said. 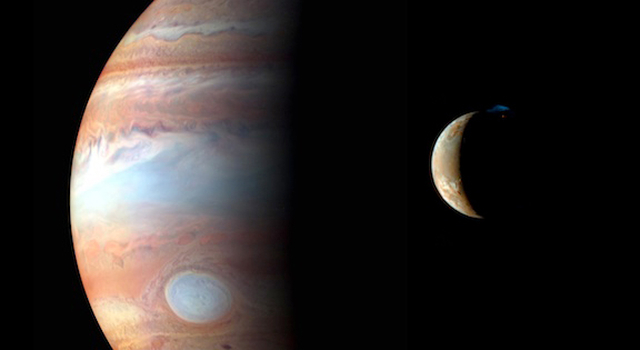 If approved, the Io Volcano Observer could be joined by two other missions — flagship-class probes under development by NASA and the European Space Agency — flying around Jupiter at the same time. Another mission to the outer solar system was proposed by Jonathan Lunine, a scientist from Cornell University who specializes in the habitability of extraterrestrial worlds. The Cassini orbiter currently at Saturn discovered the plumes in 2005, tracing their source to fractures in Enceladus’s icy crust dubbed “tiger stripes” by scientists. Equipped with instrumentation far more sensitive than available on the 1990s-era Cassini orbiter, the ELF mission would search for biosignatures in the geysers on Enceladus. The polar jets loft water, salts and organic molecules dozens of miles over the moon’s surface from an underground regional ocean. Scientists announced in March that hot springs likely dot the bottom of the subsurface ocean, evidence supporting the theory that the water could be warmed by thermal vents similar to features found deep in Earth’s oceans. 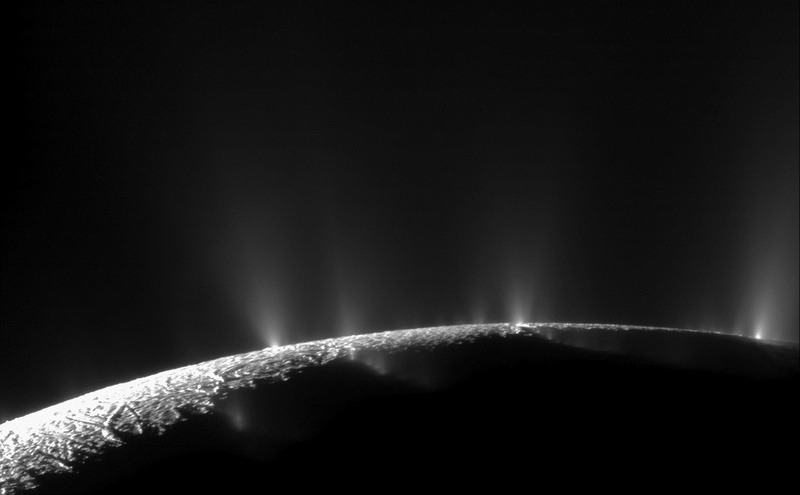 Cassini’s final swing through Enceladus’s water plumes is planned later this year. While Cassini detected the plumes, scientists need a new mission to make more detailed measurements on the ocean’s temperature, the water’s acidity, and energy sources available on Enceladus. ELF’s instruments would measure amino acids — the building blocks of proteins — analyze fatty acids, and determine whether methane found in the plumes could have been produced by organisms. “For life, you need certain amino acids, types of carbon, an abundance of methane to other hydrocarbons, and if all these are within a certain range, it’s pretty indicative of a biotic system,” Lunine said. The proposed probes to Io and Enceladus would each rely on solar electricity generators — “remote fusion power” as McEwen calls it — pushing the frontiers of solar cell technology. NASA’s Juno orbiter now en route to Jupiter will be the first spacecraft to use solar power in the outer planets, employing three huge solar panels to harness energy from sunlight, even as it grows dimmer with distance. Advancements in solar array design now make missions to Jupiter and Saturn feasible at lower cost. The probes just need large extendable solar panels to generate enough power, officials said. The leaps in technology and revamped accounting rules bring Jupiter, Saturn and their moons — once relegated to multibillion-dollar flagship missions — into the realm of a half-billion-dollar Discovery-class program. Humanity’s robotic presence in the outer solar system is set to diminish by the end of the decade. By then, the Cassini mission will have completed a guided crash into Saturn, the New Horizons probe will finish its encounters with Pluto and potentially another distant icy world, and Juno’s research into Jupiter’s interior and magnetic field will be over. Spacecraft planned to visit the moons of Jupiter will not launch until the 2020s. The ability to launch less costly probes to faraway destinations could restore exploration at the outer planets. Asteroids and comets have been popular targets for past Discovery missions, and there is no shortage of small worlds still unvisited by human-built spacecraft. One proposal would send a probe to Psyche, a nearly 150-mile-wide (240-kilometer) asteroid scientists believe is the leftover metallic core of a protoplanet from the ancient solar system. Circling the sun in the asteroid belt between Mars and Jupiter, Psyche is a world unlike any ever studied up close. 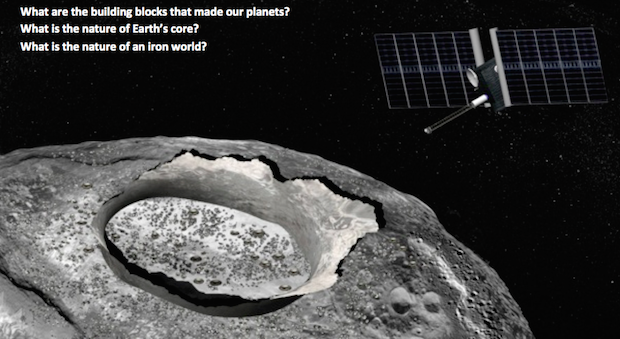 It is made almost entirely of nickel and iron, the same composition as Earth’s inner core. Lindy Elkins-Tanton, director of the School of Earth and Space Exploration at Arizona State University, leads the science team behind the Psyche mission. She said in an interview that the spacecraft — built by Space Systems/Loral — would take five years to cruise from Earth to Psyche in the 2020s. If approved, the probe will carry ion engines to guide itself toward the asteroid belt and rendezvous with Psyche, where it will enter orbit for at least a year. The mission is tasked to find out if Psyche was once a larger body that had its crust and mantle stripped away, exposing the metallic core. The Dark Asteroid Rendezvous mission, or DARe, would launch in May 2021 and orbit at least two asteroids. The mission could be augmented with flybys of more objects, according to Keith Noll, DARe’s principal investigator from NASA’s Goddard Space Flight Center. Noll said DARe will need an electrically-powered propulsion system to achieve its mission, arriving in orbit around its first target in 2024 and reaching a secondary destination by 2029. DARe would go to asteroids that are remnant building blocks of the planets, giving context to other bodies visited by robotic spacecraft. Citing competitive concerns, Noll declined to disclose the mission’s destinations or who will provide DARe’s instruments and spacecraft bus. Scientists at the University of Colorado and JPL said they responded to NASA’s call for proposals with the Binary Asteroid in-situ Explorer, or BASiX. The mission would blast off in December 2020 and reach its destination in May 2024. Built by Ball Aerospace, BASiX aims for asteroid 1996 FG3, an object with its own mini-moon. The probe will drop explosive pods to detonate on the asteroid and gauge the surface’s strength and cohesion. 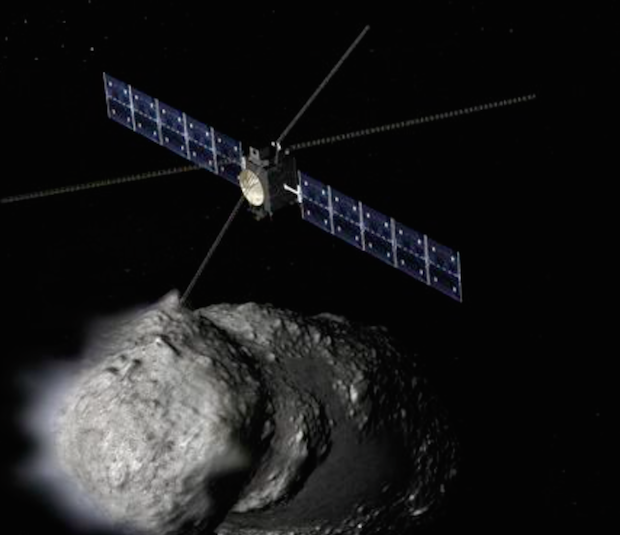 A report published in Nature magazine listed another asteroid mission under consideration in the Discovery competition. The Lucy mission would tour Trojan asteroids that circle the sun in clusters in the same orbital path as Jupiter, but Nature reported little is known about the concept. 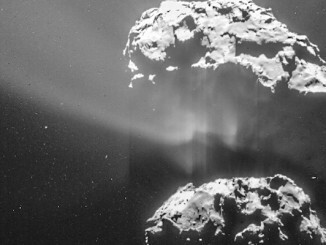 Comets may also prove to be high-priority research subjects for the next Discovery mission. Scientists have discussed at least one proposal, a mission designed to scan comet Tempel 2 with radar, probing the nucleus’s internal structure and mapping the body with a color camera and thermal imager. The Comet Radar Explorer, or CORE, would launch in July 2021 and rendezvous with comet Tempel 1 in late 2026. Led by scientists at Arizona State University, the mission’s spacecraft would be built by Orbital ATK and its sensor complement would include contributions from Germany and Italy. A trio of proposals would focus on the Martian moons Phobos and Deimos, determined to answer basic questions about the origins of the red planet’s enigmatic satellites. The Phobos and Deimos Origin Assessment, or PANDORA, mission would be ready for launch by June 2020. The Boeing-built spacecraft would use an all-electric propulsion system to spiral toward Mars on a two-year cruise, arriving in August 2022, according to Tom Prettyman, PANDORA’s deputy principal investigator from the Planetary Science Institute in Tucson, Arizona. 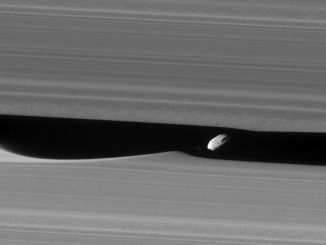 PANDORA would begin a four-year survey of the Martian moons, spending time in orbit around Phobos and Deimos, dipping close to each satellite’s cratered surface to obtain high-resolution imagery and measure their composition. The Mars-Moons Exploration, Reconnaissance and Landed Investigation, or MERLIN, would land on Phobos in October 2024 for a 90-day mission to explore the moon’s origins, testing a hypothesis that the body initially formed in the outer solar system and somehow made it to Mars. Managed, constructed and operated by the Johns Hopkins University Applied Physics Laboratory, MERLIN would launch in late 2021 and conduct several flybys of Deimos before homing in on Phobos, according to scientists. The lander could be commanded to take off again and hop to a different location on Phobos. A laser telecom system would allow the craft to send back real-time video of the moons, officials said at the Lunar and Planetary Science Conference. The proposed PADME probe would depart Earth in August 2020, reach Mars orbit in February 2021 and zip by Phobos 16 times and encounter Deimos nine times over a one-year primary mission. 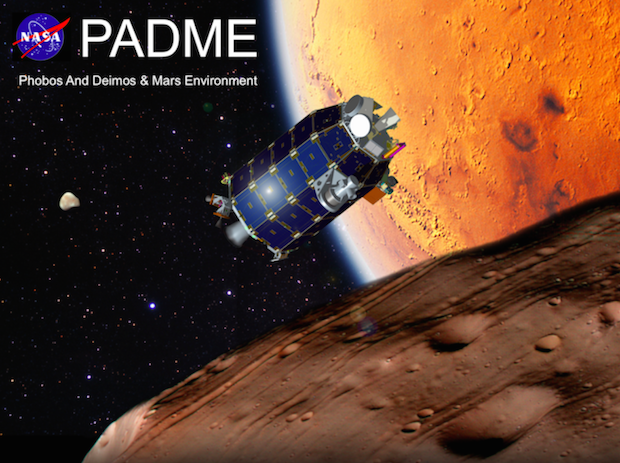 Based on a NASA-built bullet-shaped spacecraft bus flown to the moon in 2013, PADME stands for Photos and Deimos and Mars Environment. Like the other missions to the Martian moons, PADME would help scientists resolve the origins of Phobos and Deimos. After its work at Mars is complete, NASA could use PADME to experiment with deep space laser communications and repurpose the spacecraft to escape the red planet’s gravitational grasp and head for an asteroid flyby. Scientists behind the PADME mission at NASA’s Ames Research Center tout it as a cheaper, less risky option to the more ambitious concepts primed to visit the Martian moons. Scientists reportedly submitted a proposal for at least one Mars lander named Mars Icebreaker, which would descend to the Martian polar plains using a landing craft similar to the Phoenix mission that touched down there in 2008. Nature’s report on the Discovery competition indicated scientists sent in proposals for several projects to visit Venus, which was last explored by a NASA spacecraft in 1994, when the Magellan radar mapping mission ended. Europe’s Venus Express mission orbiter Earth’s scorching sister planet for eight years until it ran out of fuel in late 2014. NASA bypassed several Venus mission proposals in the last round of Discovery selections, opting to fund the InSight lander to Mars for research on the red planet’s seismic activity. The Venus missions proposed last round included probes with radars to map the planet in greater detail than Magellan. Radar waves can see through Venus’s thick envelope of clouds and resolve the planet’s terrain. The Jet Propulsion Laboratory’s VERITAS — Venus Emissivity, Radio Science, InSAR Topography and Spectroscopy — mission would survey the planet with X-band radar from an orbit 136 miles (220 kilometers) in altitude. Another concept called the RAVEN mission — short for Radar at Venus — is also being vetted by NASA after being refined through studies by scientists from academic institutions and engineers from Boeing. An exotic mission to dispatch a balloon and atmospheric entry probe to Venus is also up for NASA support. The Venus Atmosphere and Surface Explorer, or VASE, would take a four-month journey to Venus and deploy a large balloon in the planet’s upper atmosphere. 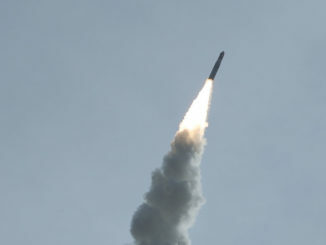 The VASE mission would be led by Larry Esposito, a scientist at the University of Colorado’s Laboratory for Atmospheric and Space Physics. The balloon would circumnavigate the planet twice, collecting its own measurements 34 miles (55 kilometers) above the planet while relaying data from a deep entry probe designed to obtain a vertical profile of Venus’s sweltering atmosphere. The entry probe’s mission would last about 90 minutes on a suicide plunge into the atmosphere, and the balloon would function for up to two weeks after arrival. Closer to Earth, a team of scientists led by Ian Garrick-Bethell has pitched NASA on deploying a fleet of more than 30 small shoebox-sized CubeSats around the moon to observe its interaction with the solar wind, study strange localized magnetic swirls, and track the movement of water across the airless lunar surface. Named NanoSWARM, the mission would be ready for liftoff by February 2020, according to Garrick-Bethell, a professor at the University of California Santa Cruz. The 10-month mission could be accomplished for $200 million, less than half of the Discovery-class cost cap, he said in an interview. A barebones mothership would shepherd the CubeSats from Earth to the moon, then release the tiny satellites on trajectories to impact the lunar surface to study the moon’s uneven magnetism. Other CubeSats will deploy into low-altitude orbits to gather detailed data on hydrogen and water distributions at the lunar south pole. Some of the CubeSats will come from South Korean students and scientists through an international partnership agreement, Garrick-Bethell said. Another lunar mission likely proposed — but not confirmed — to NASA in February was the Moon Age and Regolith Explorer. The MARE lander would touch down on one of the moon’s dark, young lava flows and gauge the age of the rock at the landing site. Researchers in charge of two telescope concepts have discussed their mission plans in detail. The Near-Earth Object Camera, or NEOCam, would be positioned at the gravitationally-stable L1 libration point a million miles from Earth in line with the sun. NEOCam’s infrared detector will locate approximately two-thirds of the large asteroids that could eventually impact our planet, expanding the growing catalog of nearby objects deemed potentially hazardous to Earth. The NEOCam team at JPL won money from NASA in 2010 to further develop the telescope’s infrared camera system made by Teledyne Imaging Sensors, setting the stage for a full-up mission proposal in 2015. 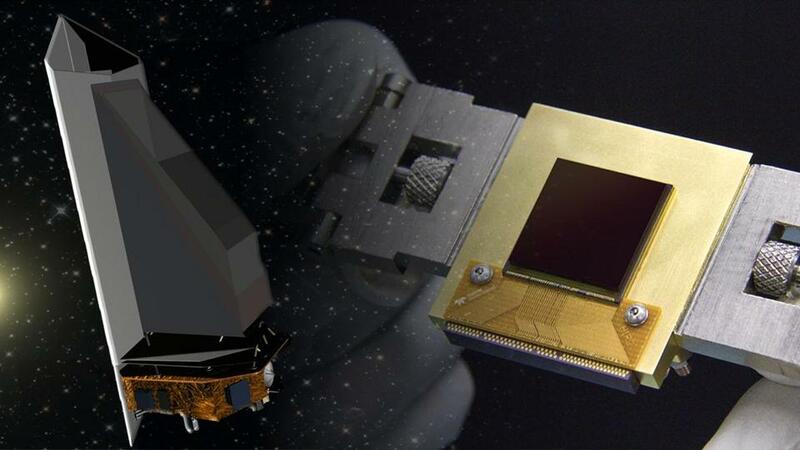 Built by Ball Aerospace, NEOCam would be fitted with a sunshade to allow the telescope’s sensitive detectors to track asteroids near the sun, revealing a population of objects invisible to existing observatories. The Kuiper telescope conceived by Jim Bell, an astronomer based at Arizona State University, would launch in 2021 to the L2 Lagrange point a million miles away — but in the opposite direction from Earth as NEOCam. Like NEOCam, Kuiper would be built by Ball Aerospace. Its three-year mission would observe the solar system’s gas giants, moons like Europa, Io, Ganymede and Callisto, and distant smaller objects as far away as Pluto. The atmospheres of Jupiter, Saturn, Uranus and Neptune will get special focus, and Kuiper will survey the distribution of small bodies in the outer solar system to help determine how the huge planets changed their orbits since they formed. Kuiper’s telescope is half the size of Hubble, but it would begin operations just as NASA expects the legendary Earth-orbiting observatory to end its mission.